Hass is grafted but it isn't a dwarf variety. 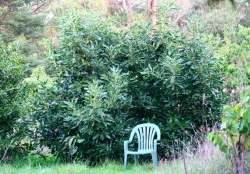 Fruiting normally commences in the 3rd year. 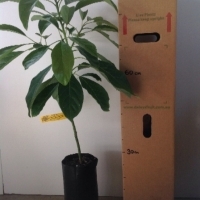 The height of the plant is 3-4m instead of 5-12 like this one #AvocadoHass1001 You can keep it smaller by pruning it to size. 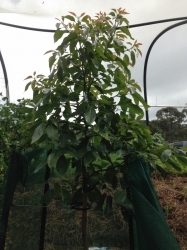 The height of the tree that we sell will be about 60-90cm and in a 4litre bag. Comments: - Hope to grow as edible hedge/screen. 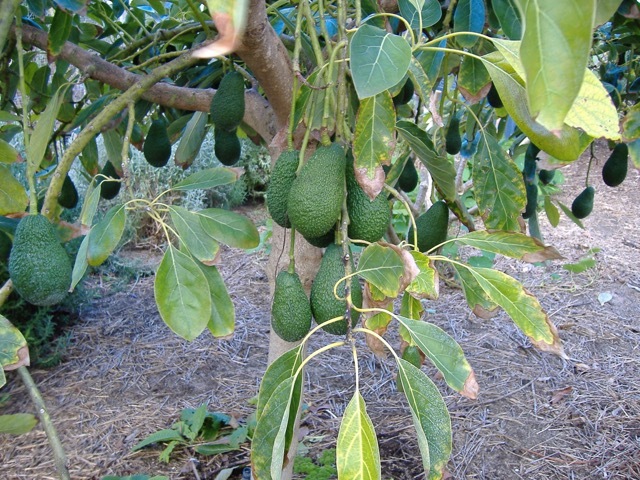 Avocados are such great fruit, so healthy and my kids love them. None - no fruit yet so no problems so far. I have had this avocado hass planted for about 8 months now it is about 1m-1.5m tall but has not developed any fruit yet as it is still to young. 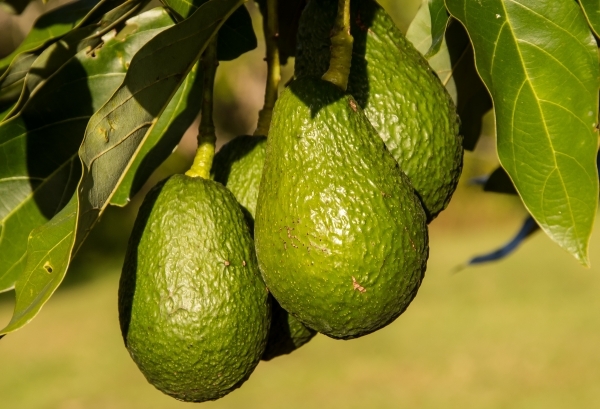 The question i wanted advice on was that i have eaten hass Avocado before and like the taste but they are generally not all that large a fruit. I have seen other avocado trees around the Perth area that have a larger and slightly different shaped fruit on them (more pear shaped) and the skin of the fruit does not turn purple like the hass but remains green. Cold anyone please tell me the name of this avocado, more information about it, how it compares to the hass and best place to purchase in Perth? Would appreciate any advice. Thanks. could be the Hass or Bacon depending on skinn texture, one smooth - Bacon and Hass wrinkly. growing slowly but steadily. they seem to grow in spurts. 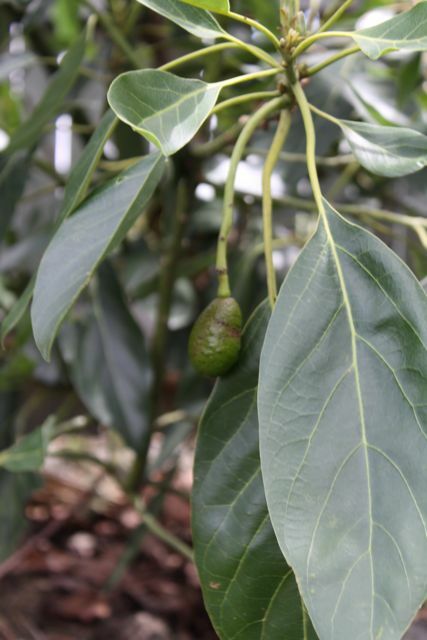 2016 1 avo the size of a golf ball last season but no flowers this year even though other hass avo is flowering. plant looks a little sick. i have come to realise planting avocado trees is like getting a pet... a committment. the vids on daleys are right. they must have a large mound if you have poor soil, they must have a frame and shadecloth around them when young (hessian is good until it rots. 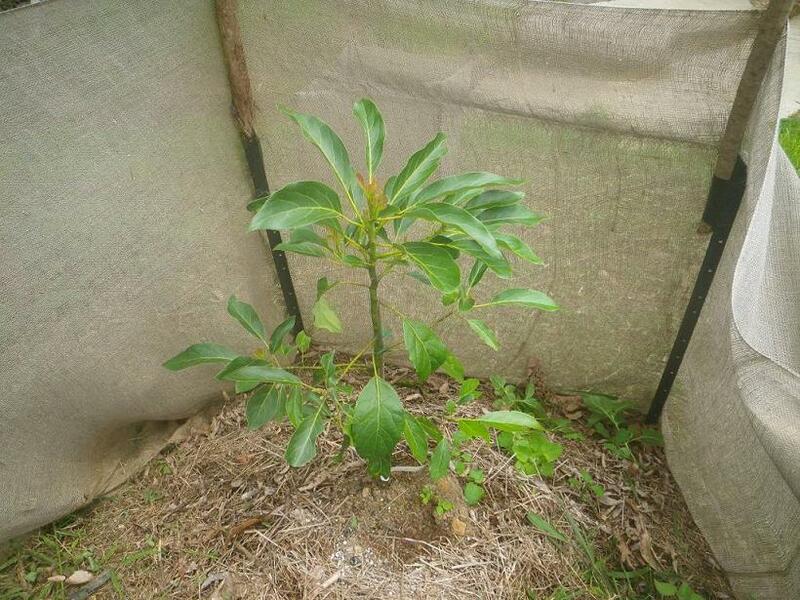 to last, you should use star pickets and shade cloth this will cost about as much as the plant.) and they must be watered often. say twice a week min every second day in the heat of summer. 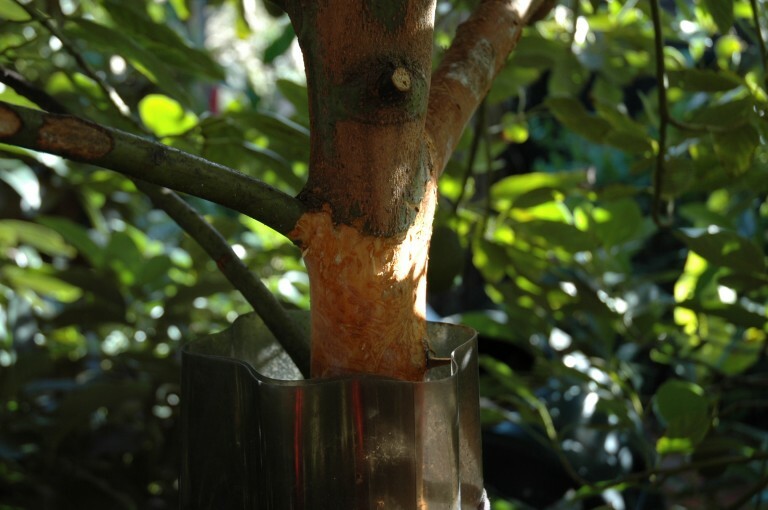 if you cannot provide this dont bother, there are lots of easier plants to grow. 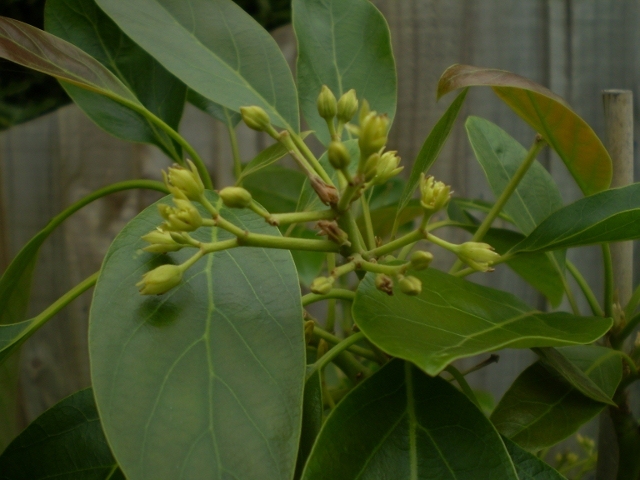 This tree just exploded into new shoots in the last 2 weeks, I am very excited about getting fruit off it, hopefully next year. 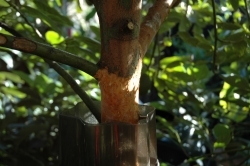 Sometimes the bark gets a bit cracked, is this from lack of water? The Hass variety is the third and last tree for my avocado collection. All the three plants are still in their pots but I will be planting them along side each to cover one side of the shed. 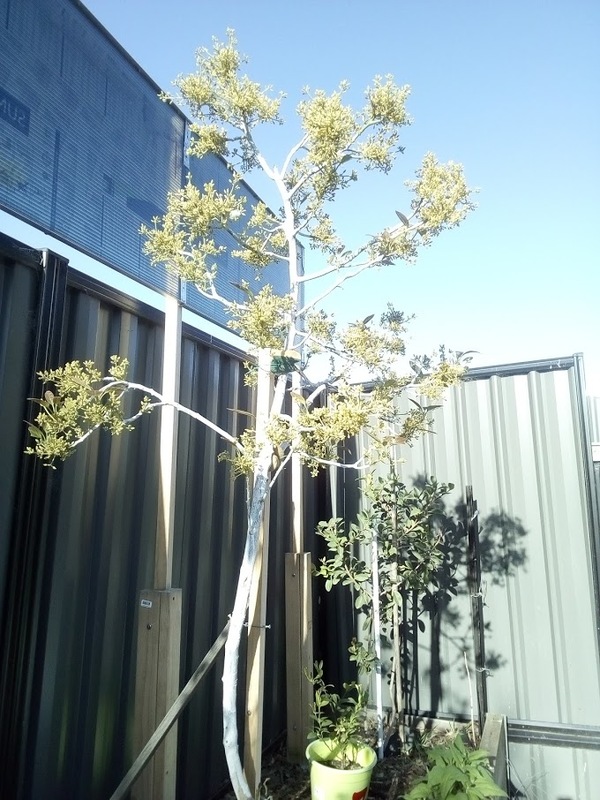 The trees in return will get afternoon sun protection from the shed in the first couple of years. A win-win deal. I will plant the trees about 1.5 metres apart so hopefully they will dwarf each other as advocated by some gardening gurus. 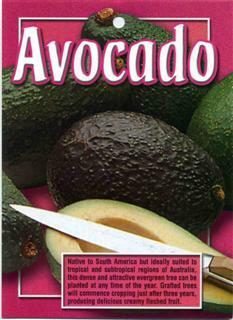 I love the taste and health value of avocadoes. 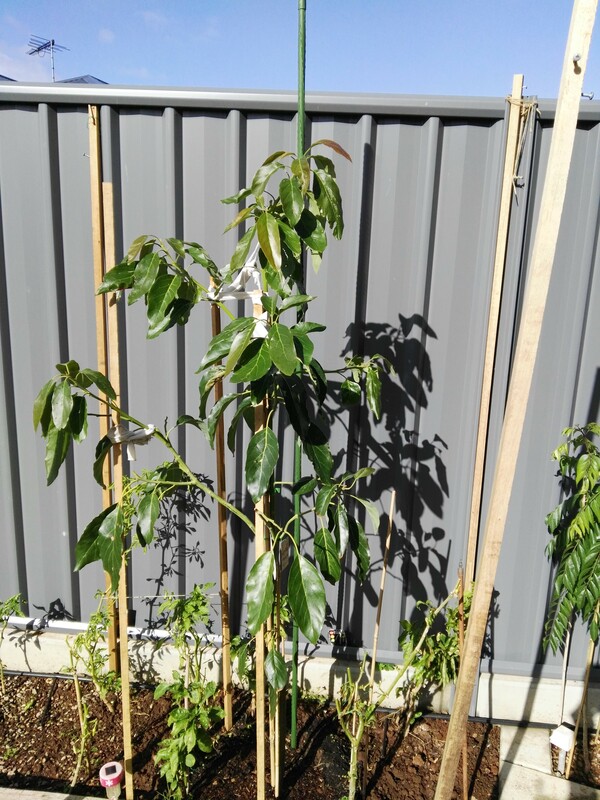 Sprayed with garlic and chilli spray in spring to ward off earwigs. Only 2 sprayings and nothing further was required. 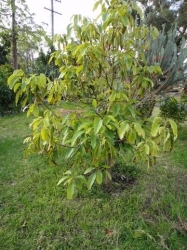 Avocado trees are great looking trees. 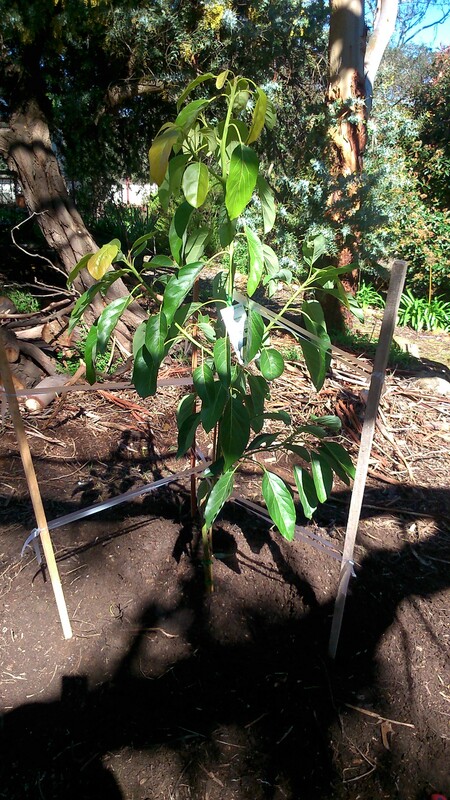 Bought it at a nursery this year and planted it next to my other avocado tree, with a mix of dirt,cow manure and compost. It is north facing getting full sun. Seadsoled a month ago. It seems do be doing well so far and has currently produced some flowers. 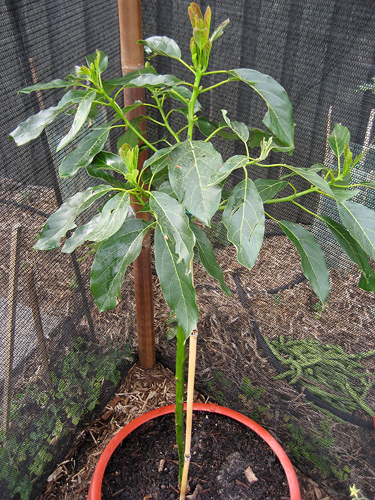 this one i grafted myself with stock from a brought avo and scion from a purchased hass avo tree from daleys. it has had awesome site prep, tons of compost, a sturdy shelter and regular watering. the results show as it has overtaken the tree i took the scion from. it flowered after 2 yrs from graft. this year it has about half a doz avos that have been pollinated (only 1 tree). it is late spring now and it has grown a foot in the last 3 weeks. Comments: - Bought from Daleys 18 months ago and has fruited already! 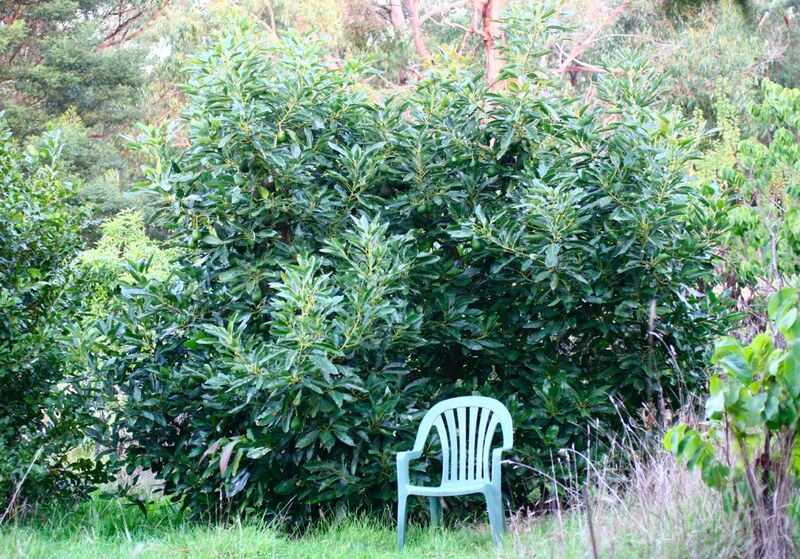 Question: When is the best time to prune and by how much? Planted in the ground back in May. 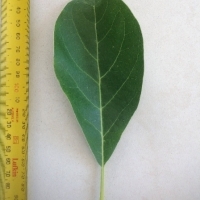 Was going fine until a rabbit or possum stripped some leaves off the tree. 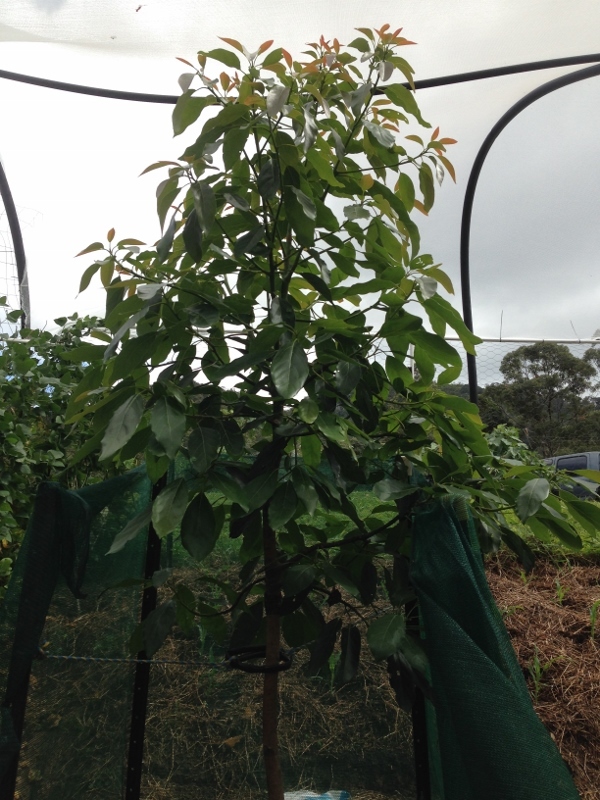 Have mulched tree and put some bird netting around it to protect from the rabbit or possum. No sprays yet. Just netting to protect from possum or rabbit attack. Comments: - This has not fully fruited as yet, the birds ate all the new buds off last year so this year we are ready with netting. We didn't feed much the past years now we have woken up. Fertiliser or Organics Used: many things. 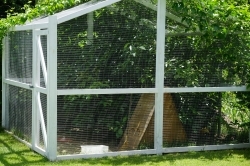 Pest Control: as required by Gardening Australia. 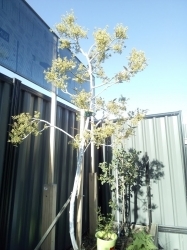 But our landscaped native gardens help with the many pests. Question: is this a good fruiting tree for our temperate region. This one I grew from a seed. 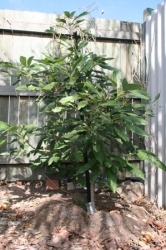 Comments: - I have a small veggie garden and want to grow a food forest so that the trees provide shade. 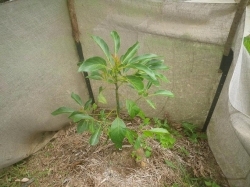 I bought this at the markets from Helgas nursey, leaves have gone yellow and fallen off. I see that it likes more acid soil, so am going to pick up some coffee grounds. Our wet season is slow in coming so it has been very dry. 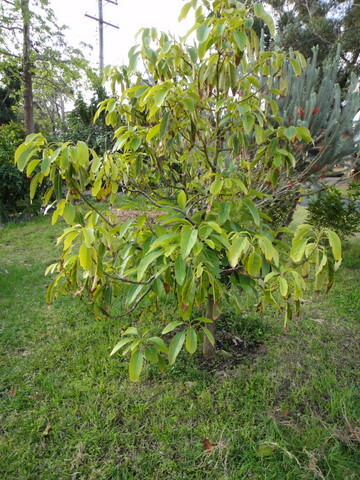 Comments: - This was in the yard when we bought the property looking very bedraggled - knowing nothing of avocado, we just left it - and it grew like crazy. No idea how old, or what stock it was, but each year has set at least 50 fruit, and we have harvested at least 20 (the bush turkeys and chickens have been at the rest. 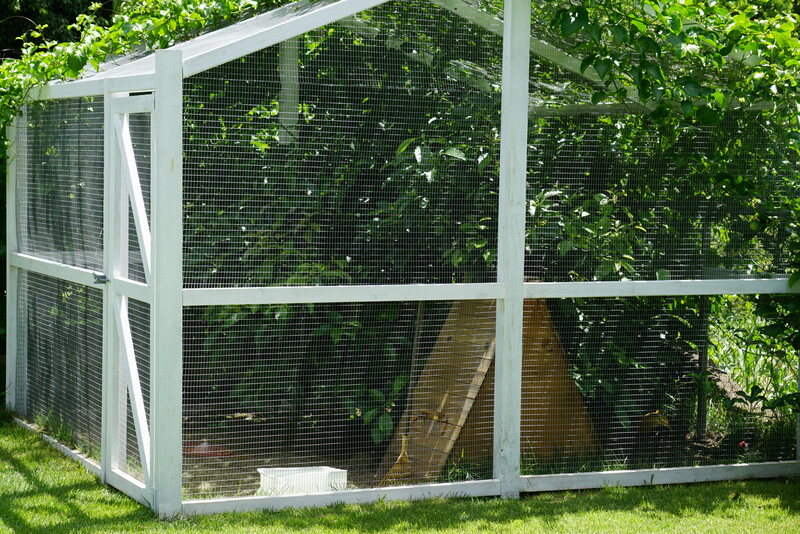 Just built a chicken coop around it, to stop the bush turkeys and possums getting at it - am sure there will be enough to share with the chickens! 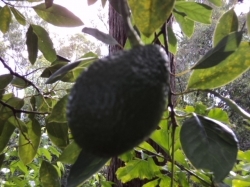 Question: is there any way to ripen the avocados off the tree? we lose the ones that fall to the ground to the chickens - but the ones we take off don't seem to ripen! 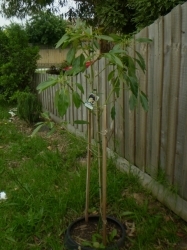 Bought as a seedling, so I am in for a wait before I will get fruit. I was worried about putting it in the ground as it looked a little flimsy, but is happy, and doing well. Standing up to the brutal Mareeba sun. Because I could marry an avocado! They are my absolute favourite fruit. I could eat them all day.